Let it flow with finesse. You can read about another awakening experience, one of the many that are embedded in the archives and please click on this poem for another awakening. You can also participate by sharing your awakening moments. I pass on the challenge to all of you. Did I say I forgave all? Did I say I remain calm? Did I say I have moved on? Did I say I chose to fly high? Did I say I could see light within? Did I say I know thorny paths? Did I say I sleep well? Did I lie to myself? I can no longer wear a mask. 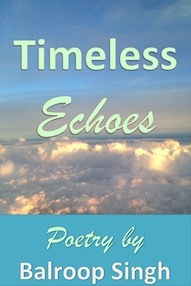 The above poem is an excerpt from my latest release ‘Timeless Echoes’ and I have shared it to thank my dearest blogger friend Lisa who has mentioned it in her review at GoodReads as her favorite poem from my book. Lisa has been one of my earliest friends and visited my blog when it was more like a ghost town. Her consistent support has put many smiles on my face. Sending you hugs of gratitude on the wings of poetry dear Lisa. Many thanks for reviewing my book. Procrastination is not just the practice of putting off important tasks; it speaks volumes about the inability to take decisions that we believe to be right. It also exhibits our lack of confidence and faith in unknown fears. Unless we tackle those fears, we remain in the grip of others. Moments of indecision slip from our hands like sand; we unconsciously transfer the power that lies within our reach; we let the seconds tick through our minds, pondering over the questions…such nightmarish moments turn into regrets that stick forever. Determination and confidence are the two essential traits of a decisive mind. Know your mind: It is the quality of a strong and well-developed personality. We all pass through the phase of indecisiveness. When we are immature to trust our decisions, we give in to the wishes or commands of others. 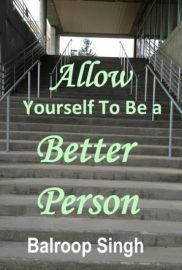 When we start understanding our needs and desires, we ought to acquire the confidence to take our decisions. Build Confidence: Most teenagers try to wrest the control of their lives from the hands of their parents and want to take their own decisions. Those who live from their heart are quick in learning the art of decisiveness even if it may prove disastrous but they don’t dwell in those parallel lines, which take them nowhere. Decisiveness is the most significant personality trait that leads you to success. Dismiss fears and sneers: Boulders of fear block our path but we have to take a detour to avoid them. When I decided to quit a secure job at the age of 24 and start a family, my colleagues looked at me in bewilderment, some even scoffed at my immaturity but I didn’t look back. I have never even had a regret though I could never reach that position, which I had secured at that young age. Support: If you don’t have the nod of your family or partner, you may vacillate and wonder whether it is the right time to take a decision. Time is never right if we think too much. ‘Now or never’ is a good guiding force to knock off the monster of indecision. Trust Yourself: Procrastination slowly gets entrenched in our personality and becomes a habit. It corrodes our confidence, smothers our thoughts and restricts our actions. We become mere puppets in the hands of people around us. Sometimes unilateral decisions lead us out of the conundrums of life. Are you a puppet? Do you take your own decisions or procrastinate? I am a realist, a poet and a friend. I stood there, wondering…did I say something out of place? I didn’t give up and knocked again, softly. ‘Nothing.’ I couldn’t say a word beyond that. Expectations? Did I say I don’t have any? Often I tell myself – expectations are emotional signposts that stunt your growth. I know this world is skeptical. I know nobody likes to befriend a realist. I have been turned away like that a thousand times yet I didn’t learn any lessons. When I met fantasy, she took me beyond the horizon and introduced me to the stars but their incandescence couldn’t blind me. Those flights were like lying in a hammock and I could perceive some magnificent hues, relaxing and gathering some fantastic confetti to sprinkle upon my words. She also whirl-winded through the corridors of romance, riding on the waves of ecstasy but I didn’t lose my sanity. I couldn’t soak myself in the fragrance of fickle-hearted, frivolous love despite its alluring attraction. When I met mystery, she took me into the darkest tunnels where cobwebs tried to block my vision. Darkness could not hold me for too long as the eternal optimist within me keeps me humored all the time. Melodrama couldn’t lure me and I refused to be carried away by its teary-eyed hypocrisy. Thrilling adventures did hook me but their enticement was short lived as my mentor was always breathing in my ear the admonishing words in a firm tone. Observation and intuition have been my best pals! I still love them. Realism keeps me grounded. It connects me with people, their emotions and experiences of life. I met realism very early in life when I was just beginning to form my memories. I remember him clearly standing in the door, with scary daggers in both his hands, reminding me to remain indoors. He told me, ‘you are a girl in a men’s world.’ This warning developed my emotional quotient and intuition. He walked with me all the time, threatening to knock me into a drain. One day he did so when I refused to listen to him and jumped ahead to buy a candy. The rebel within me leaped out each time to scratch his face. Some times I did succeed in dodging him but that only exposed my own imprudence. He revealed to me the travails of life; the aches and the hurts that he gave me steeled me. He acquainted me with the secrets and diktats of my culture. He taught me to pour an embittered heart into a cauldron and ignite it with my words. I grew up with his cues and his decrees became a part of my personality. An internal rebel, I yearned to break free. There is no doubt that realism can be stifling at times. Freedom did grace my home and the precious wings that I cherished were spontaneously passed on with realistic values to the next generation. Realism keeps me focused yet a little dose of fantasy makes a coveted cocktail of poetic delight. Emotions too keep peeping in though I have learnt to channelize them. When I look at my early poetry, completely driven by emotions I marvel at my personal growth and the whole credit goes to introspection. “Realism can break a writer’s heart,” said Salman Rushdie…such is the power of realism but I have reconciled with him as he has mentored me all my life. How much of a realist are you?